Comcast wants your trust regarding net neutrality rules. Comcast wants all of its customers to trust the company when it comes to the recent net neutrality changes that have taken place. The company has also defended itself for its stance, or rather changes in its stance, about net neutrality rules. Perhaps the most surprising fact is that Comcast has actually, but falsely, equated internet fast lanes with online data cap exemptions for online users. Internet users have criticized the company for changing its net neutrality pledges. But how long can the company continue to defend them? To begin with, Comcast itself put the company in the current situation. 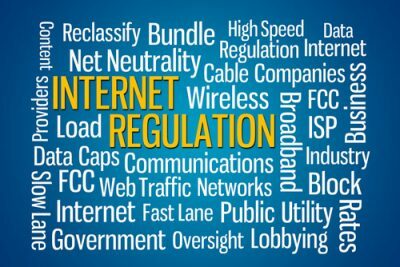 It, like all other big broadband service providers, pledged to obey net neutrality rules a couple of years ago. But perhaps it did so because the company saw itself as a trendsetter. Now we know that the Federal Communications Commission under Trump has changed a lot of things. And that has forced Comcast to think all its net neutrality promises. In other words, it has deleted many of those net neutrality promises. Comcast did so immediately after it became clear that the Federal Communications Commission would indeed start the process of repealing all current net neutrality rules. The company remains adamant that the recent net neutrality rules change is nothing but a language change. Comcast has consistently told its customers that the company has made no plans to initiate and/or institute any online paid prioritization deals. But it has cleverly avoided its earlier promise that the company wouldn’t engage in such deals in the future as well. 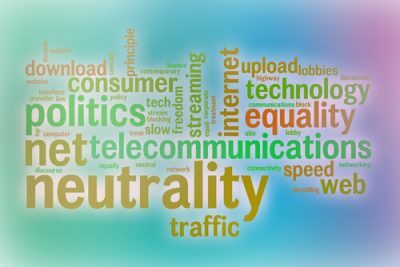 Various online publications pointed out the recent changes to the company’s net neutrality promises. Other publications also pointed out further details on how Comcast had changed its net neutrality pledges. Comcast changed its stance on net neutrality rules. And that isn’t good. With that said, let’s come to the official Comcast net neutrality web page as it appeared until April 26, 2017. Up until that point, the company made it clear that it did not prioritize online internet traffic. And it did not create online paid fast lanes. Coincidentally, April 26, 2017, also represents the time when the Federal Communications Commission’s Chairman Ajit Pai officially made the announcement of the first version of the organization’s plan. As mentioned in previous reports, the first version of Ajit Pai’s plan included references to eliminating existing net neutrality rules. Ever since that official announcement, Comcast has removed the portion from its official statement that talked about paid prioritization. any and all lawful internet traffic. As far home internet providers go, Comcast is the biggest one in the United States of America. And yet, it declined to respond to media reporters who asked why the company had changed the language it used for its net neutrality promises. Sena Fitzmaurice, a Comcast spokesperson, spoke with the Denver Post about Comcast’s recent net neutrality language change. Sena told Denver Post that Comcast did not use exactly the same language in its net neutrality promise 2017 page as it did in 2010. To know more about the interview with Denver Post click here. Back in the year 2014, Comcast made it clear that the company agreed with Barack Obama’s, the then President of the United States of America, stance on net neutrality. Which meant that the company, as far back as 2014, agreed that the internet should not have paid prioritization programs. Data Cap Exemptions And Paid Prioritization. What is The Difference Between The Two? The obvious question that arises here is that why did Comcast decide to change the language? Fitzmaurice pointed reporters to the official filings that Comcast submitted to the Federal Communications Commission earlier this year. She told the Denver Post that part of the filing that the company submitted this year about online paid prioritization was that there had been some issues and other things in the market that had come out and had been pro-consumer. Fitzmaurice also told the Denver Post that some people called it zero ratings. Other people called it paid prioritization such as the Binge On plan from T-Mobile. And since a lot of parties were up in arms about the terms being used in the media, Comcast had to decide on a term. And they changed the terms and consumers seemed to like the new terms. Fitzmaurice made a similar zero-rating comparison on Twitter just a couple of days ago as well. But some people believe that she has conflated the two concepts. Actually, both terms mean completely different things in this case. Let’s talk about Paid Prioritization first. Paid Prioritization, it if comes to fruition, would involve a given website or even an online application provider making payments to an internet service provider such as Comcast in order to get faster access to online internet users. Currently, existing net neutrality rules outright ban paid prioritization programs. So that is it for paid prioritization. Let’s talk about zero-ratings now. Zero rating is nothing but the exemption of particular internet content from all the data caps that come with internet subscription packages. Current net neutrality rules don’t ban zero-rating programs. But that isn’t to say that the zero-rating program is anything good. In fact, the zero-rating program could potentially come into conflict with the Federal Communications Commission general conduct rule. That is, assuming, that internet service providers implement zero-rating programs that in some way harm competitors and/or consumers. To take an example, let’s talk about the Binge On program from T-Mobile. The Binge On programs basically exempts online video sites from the user’s data caps. With that said, this Binge On program doesn’t require or force a payment from video providers for the privilege of the zero-rating program. When Tom Wheeler, former FCC Chairman, headed the Federal Communications Commission, he said that the organization allowed zero-rating programs. Because it seemed to benefit consumers and at the same time it did not harm video providers. The Federal Communications Commission, under Tom Wheeler, did prevent Verizon and AT&T from launching their own zero-rating programs. Because those zero-rating programs exempted the companies’ own online video services from the user’s data caps. All the while they charged all other video service providers on the internet for all those exemptions. The current Federal Communications Commission chairman Ajit Pai, put an end to that investigation. As soon as he took over the Chairmanship of the Federal Communications Commission. Ajit Pai also said that the Federal Communications Commission would not carry out punishments for carriers for any of their zero-rating programs. Ajit Pai’s FCC wants to facilitate internet service providers at the expense of end users. That means that the FCC has had zero-restrictions for all zero-rating programs for almost a complete year. Hence internet service providers such as Comcast, could go ahead and simply adopt the zero-rating program today. And it would not have to worry about reprisals from the Federal Communications Commission. With that said, Comcast would still have to wait for a bit before the Federal Communications Commission eliminates net neutrality rules. After that, it can start to implement paid prioritization programs. In fact, recent Comcast has also made statements which have called for paid prioritization programs. Recently the company said that the FCC should allow paid prioritization because it would greatly benefit all telemedicine systems. As mentioned in previous reports, there are existing rules already which contain a good amount of exceptions. These exceptions allow internet service providers to offer isolated network capacity to industries such as telemedicine. Current rules also allow the same for other online applications. So what would happen when the Federal Communications Commission eliminates all net neutrality rules? Then internet service providers would have no hurdles in freely selling priority access to any and all kinds of online services and applications. Comcast has also used its official Twitter account to respond to all the angry online internet users. Internet users who have criticized the company for changing all its net neutrality pledges. Comcast sent dozens of tweets from the company’s official account to all the people who criticized Comcast and said that the company had not entered into any online paid prioritization programs and/or agreements. The company also said it did not have any plans of doing so either. To read one of those tweets, click here. But all of these tweets wouldn’t change the fact that Comcast deleted any reference to paid prioritization pledge from the company’s net neutrality web page. Because Comcast did that right after the Federal Communications Commission announced its decision to drop net neutrality rules. There is also the fact that the Federal Trade Commission could punish Comcast. Well, under current rules if internet service providers make promises and then they break them, then the FTC can move in. And punish those internet service providers. The Federal Trade Commission can push Comcast on grounds that it misled customers. That is assuming if Comcast eventually introduces paid prioritization programs. Perhaps that is the reason why internet service providers such as Comcast have started to scale back their promises. This way they can avoid any government interference when and if they decide to implement paid prioritization programs. Blake Reid, a law professor at the University of Colorado talked to Denver Post in an interview. He told Denver post that Comcast language change could represent something important. More precisely it could mean that Comcast may have plans to do something that the company did not plan for before. Moreover, it could also mean that Comcast wants to have more flexibility. And that they may indeed not have any plans for poor prioritization for now. Some people have made a very convincing argument before and are likely to make it again. Internet service providers want to serve customers. But only after they have served their own interests. It’s the simple fact that Comcast indeed has a problem with net neutrality rules. And not just Comcast, all internet service providers. even without any net neutrality laws. 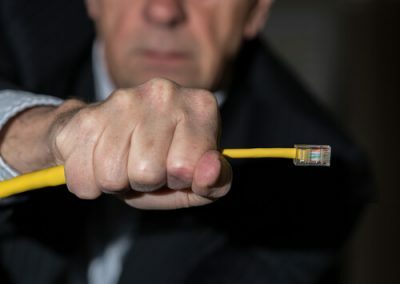 The obvious question that arises from this is then what real harm do these internet service providers expect from passing new net neutrality laws? Internet service providers don’t want the law holding them accountable for following net neutrality rules. Some voices think that internet service providers want a special seat at the table. And a ton of more companies who the government has allowed such relaxations for the past many years. 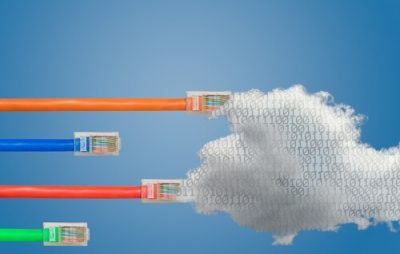 If anything does go wrong, and something always goes wrong, internet service providers want to have a backup plan. Of course, that isn’t going to stop net neutrality activists from protesting. And taking over websites such as Reddit. “ This Is ***** My Senator And He Sold Me Out To Telecommunication Lobbyists for X amount of dollars”. A lot of Reddit users saw a different Reddit homepage a couple of days ago. Usually, Reddit home pages show users a personalized set of new articles. But a couple of days ago something changed. Instead of the mixed new stories along with cat memes for entertainment, people saw protests. Protests from net neutrality activists. These activities filled Reddit walls with posts that named and then shamed different members of Congress. Mos of the Congresspeople that these net neutrality activists shamed belonged to the Republican party. Net neutrality activists exposed who had taken money from the giant telecommunications companies to erase net neutrality laws. “This is my Senator Ron Johnson”. And it made the top of the headlines page for many Reddit users, especially on Friday afternoon. “ He sold me along with my fellow Wisconsinites and the United States of America to the telecommunication lobby for a price of $123,652”. Other headlines targeted other members of Congress. There were more members of Congress as well. The other interesting bit is that most of these headlines used virtually identical language. Some thought these net neutrality activists had launched a rather clever campaign. Because most people would simply ready the headline and then assume that these actual senators did sell them out. How did these senators sell these people out? By voting against existing net neutrality rules. Congress hasn’t really voted on anything related to net neutrality recently. This has led some to believe that these net neutrality activists wanted to target something else. They wanted to targets names that had appeared in an article that appeared on the Verge. That Verge article detailed all the campaign contributions that went to members who voted to actually overturn a completely different and separate Federal Communication Commission regulation. What did that regulation do? That regulation protected customer privacy. It is another fact that there are many Republican senators who actually voted to reverse all of Federal Communications Commission’s privacy protections. And yet also managed to defend Ajit Pai’s first proposal which rolled back existing network net neutrality rules. The best example of this is Marco Rubio. Rubio sent letters to many constituents and said that the Federal Communications Commission 2015 Open Internet Order actually and effectively transferred power from internet service providers to the US Federal government. He also said that the Open Internet Order threatened the internet by over-regulating it. Rubio further added that such orders would only make the internet more expensive for end consumers. The FCC would also promote less competition and innovation via such orders, according to Rubio.